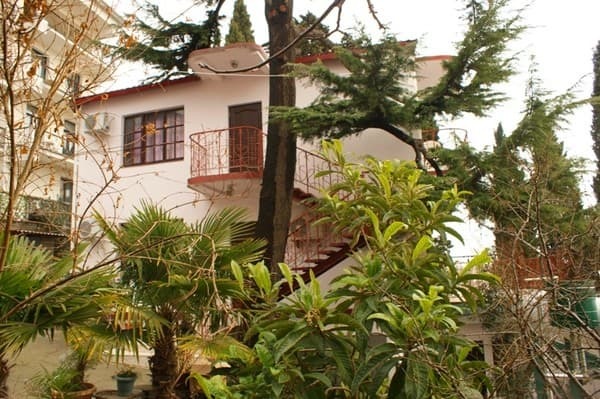 Two-storey guest house "Villa Rita" is located in the center of Yalta, on Massandra beach, with a separate exit to the beach. Each floor is an apartment with a separate entrance. 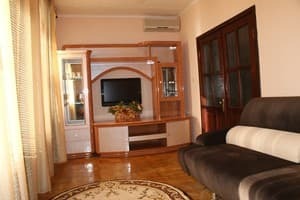 Two-room apartments with all conveniences: the hall and bedroom are fully furnished with new furniture, kitchen with appliances, large balconies overlooking the sea and mountains, a bathroom with a bath on the 2nd floor and a shower on the 3rd floor. On each floor there are 2 air conditioners. Big own courtyard, gazebo, BBQ, parking for two cars. Exotic trees and plants grow in the yard. There is a children's playground with a green lawn. It is possible to rent a whole house. PRICES MAY CHANGE, IT IS REQUIRED TO RECEIVE INFORMATION FROM THE OPERATOR. 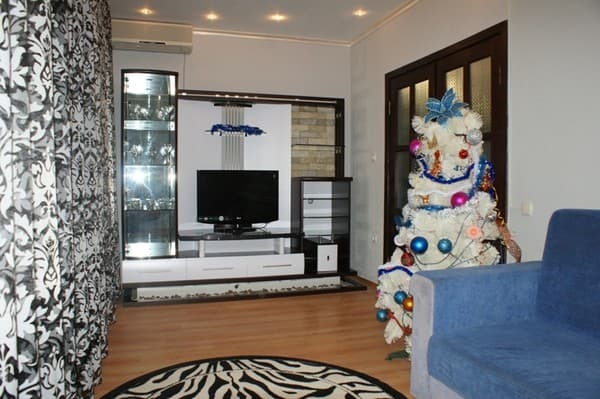 Description of the room: The apartment is located on the 2nd floor. 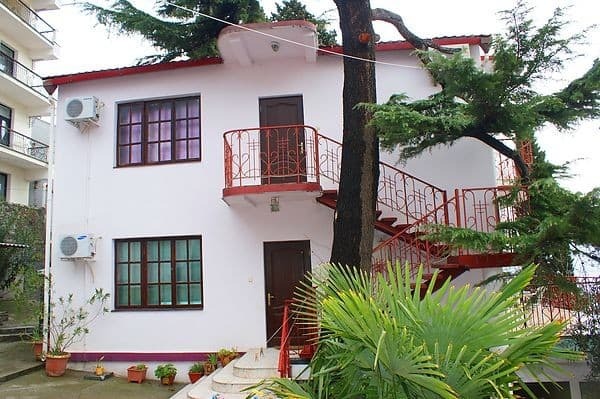 2 rooms with all amenities - hall and bedroom, 2 air conditioners, kitchen (gas cooker, kettle, refrigerator, microwave oven), large balcony with sea and mountain views. Description of the room: The apartments are located on the 1st floor. 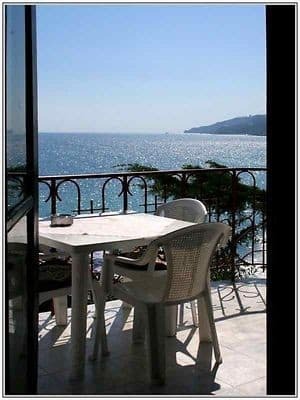 2 rooms with all conveniences - hall and bedroom, 2 air conditioners, kitchen (gas cooker, kettle, refrigerator, microwave oven), large terrace overlooking the sea and mountains. Children are accepted from any age, additional places are not provided. In the center of Yalta, on the beach (Massandra beach). The guest house is located 20 meters from the waterfront, to the hotel "Yalta" - 650 m. 400 meters from the house is one of the oldest hotels in the city "Bristol", and 800 meters - Yalta seaport. The distance from Simferopol to the railway station of Yalta is 80 km, from Simferopol airport to Yalta - 90 km. Take a shuttle bus to the hotel "Yalta".